We’re having our coldest weather of the winter so far. 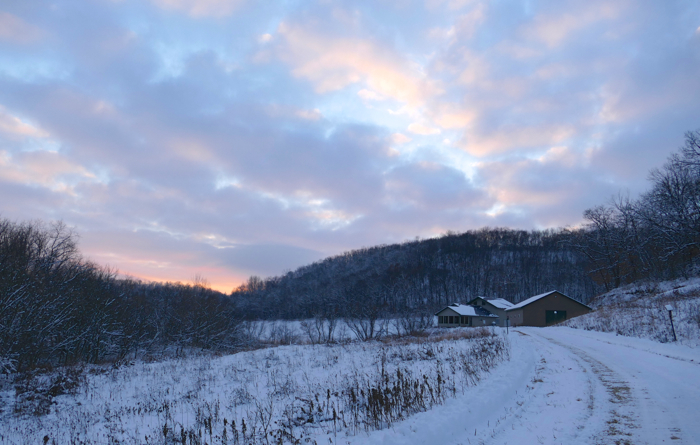 It’s been -14F in our valley the last two nights, and -9F on top of the hill. It’s up to 5 degrees above zero right now – at 10am with the sun shining. So most of our days have been spent inside catching up on computer projects. Up until last week we didn’t have much snow, so it’s been easy to walk. 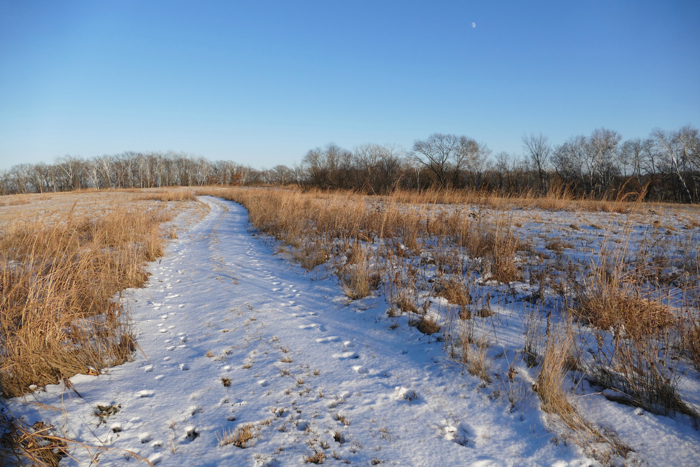 Here are a few wintry prairie scenes. 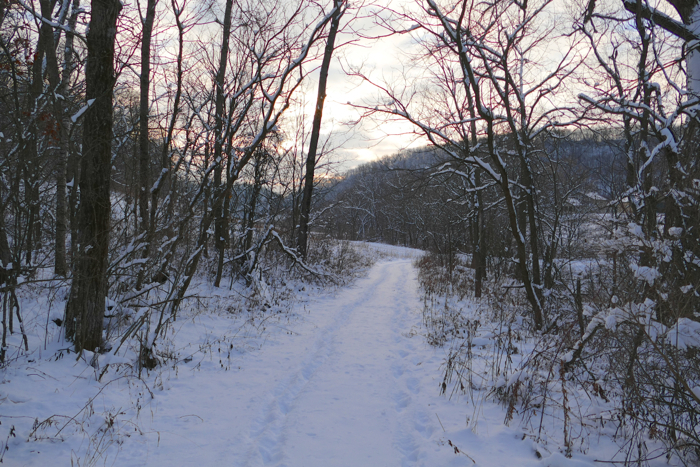 I took a long walk up Maple Ridge – our new land across the road. It was fun to be able to look back across to the rest of our land, and see it from a new perspective. 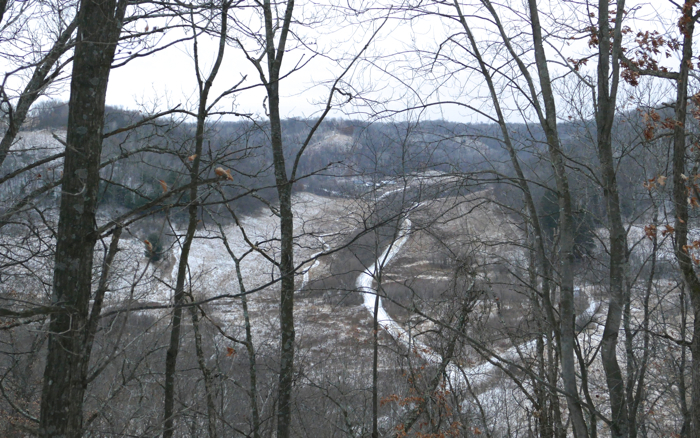 This is looking north, up Center Valley to the house. 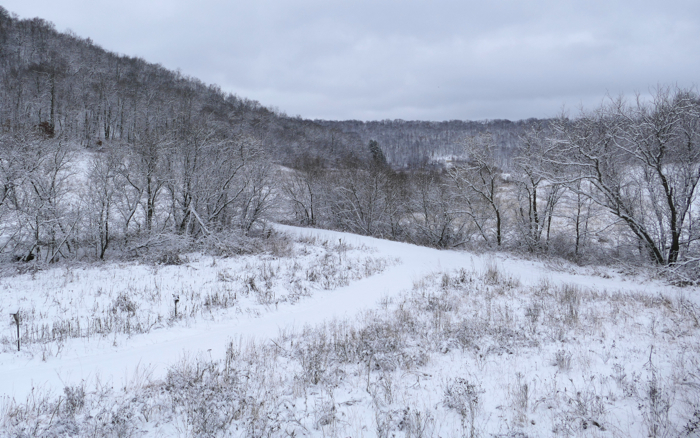 A few days after Christmas we finally got some ‘real’ snow – about 5 inches. Now it’s harder to walk up the hills, but it’s beautiful to look at. 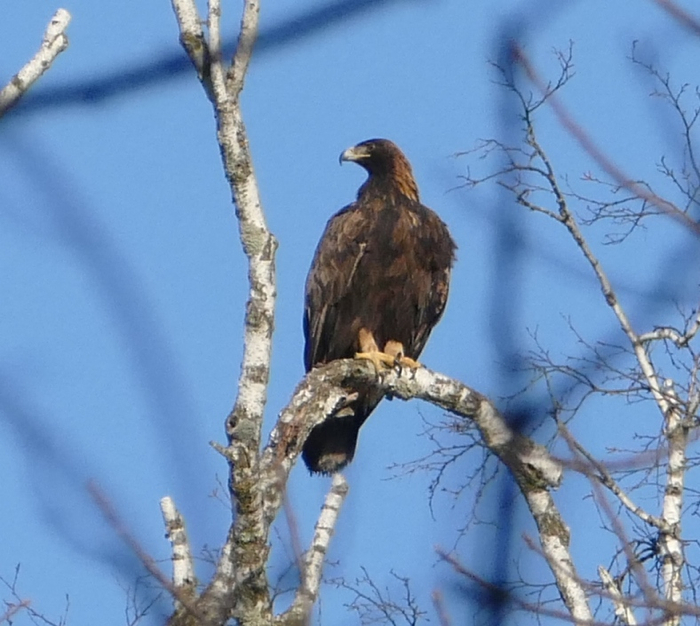 Our first Golden Eagle of the year – and the first time we’ve ever gotten a good photo of one. 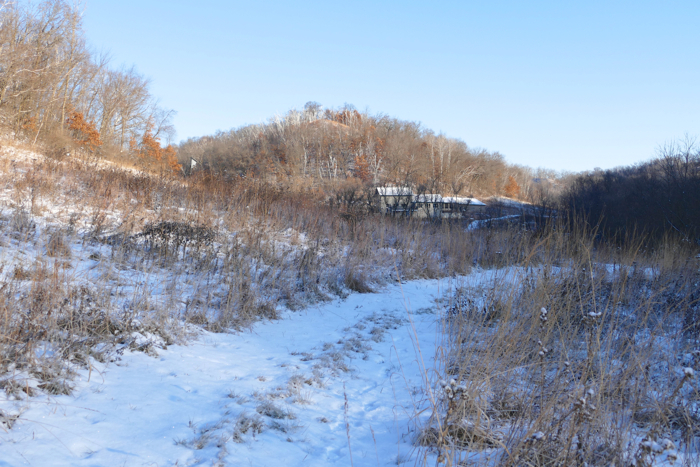 It flew almost over our heads, and up to a perch at the edge of the Knife Edge Prairie. 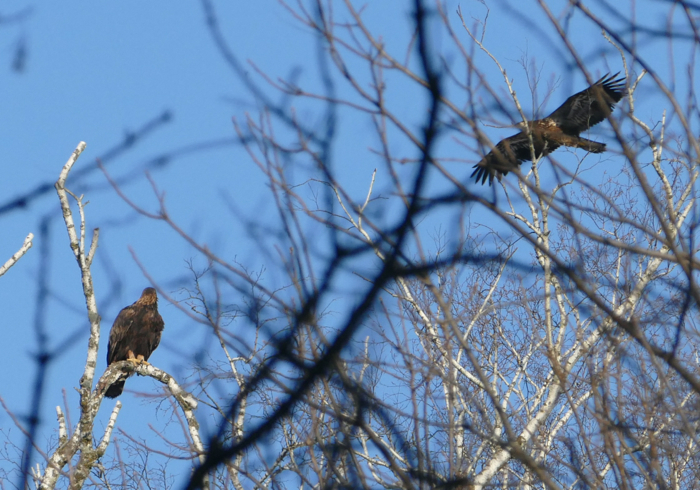 As we were taking pictures – from way down at the bottom of the valley – a young Bald Eagle flew past the sitting Golden Eagle. 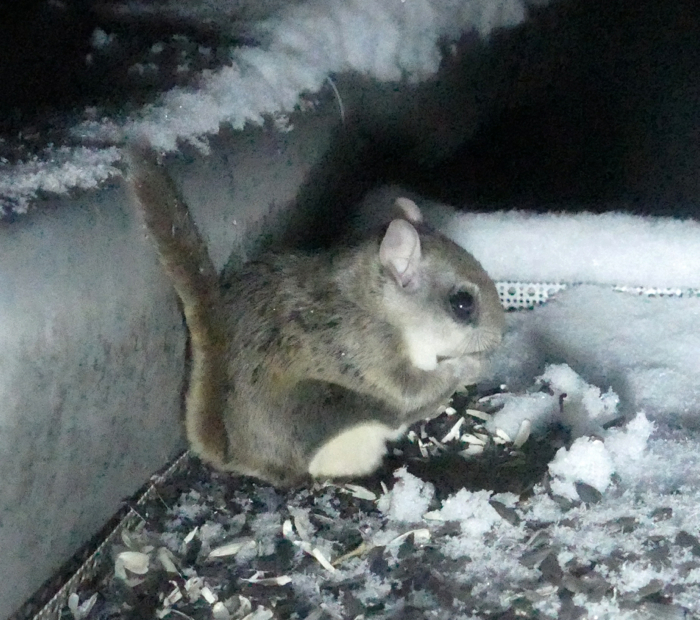 This is our other great photo for the month – a Southern Flying Squirrel eating sunflower seeds in our birdfeeder. We knew we had flying squirrels, but had never gotten a good photo before. The squirrel seemed quite relaxed, even with me on the other side of the window, shining a flashlight and a camera at it.